Leslie Owen Wilson provides a good overview of Anderson and Krathwol revised Bloom's Taxonomy which was updated in 2000. Andrew Churches developed a model, called Bloom's Digital Taxonomy, to highlight the use of tools and technologies at each level to facilitate learning. Alex Ambrose (2009) created a site dedicated to his idea of Googlios, the use of Google tools to support the creation of student ePortfolios to enhance their personal learning environment. 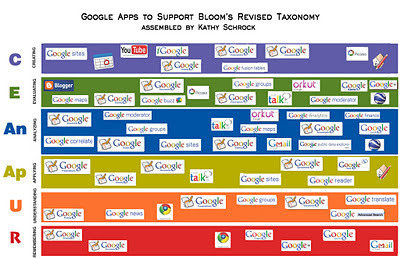 After looking through the wealth of information offered by Andrew and Alex, and having already developed my own version of Bloom's Digital Taxonomy with my favorite Web 2.0 tools for students to use at each cognitive level, I decided to combine the two-- a Bloom's Digital Taxonomy using ONLY the suite of tools offered by Google. Boy, was I surprised! 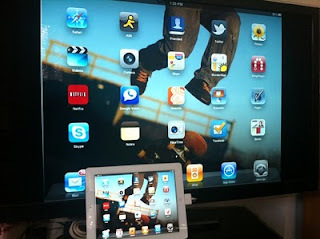 Even as a Google Certified Teacher, there were so many cool new tools that I did not know about! Google has purchased some already created, and there are some neat ones in Google Labs, which, hopefully, will "graduate" soon and become part of the core group of Google Tools. 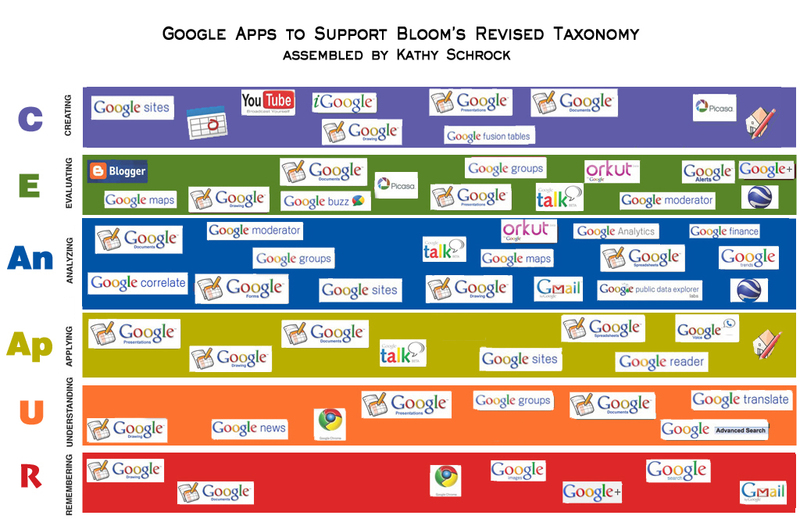 I explored 51 Google tools as I figured out how they met Andrew's criteria for each level of the Bloom's Digital Taxonomy. I justified their use, and some appear in all levels, some in various, and some only in a single level. In my presentation about "Connecting Your Classroom to the Future", I am redoing the section which highlights Web 2.0 tools and highlighting instead the "less-mainstream" Google tools. Let me know via email or comments or Twitter what you think of it!